Homemade Crusty Bread Recipe – Easy Bread Recipe – Crusty Bread Recipes | Cook Eat Delicious! This may look like some ordinary bread that has been overly dusted with flour but let me tell you it is extraordinary bread that has been overly dusted with flour. I have baked up homemade bread quite a few times but I wouldn’t consider myself into baking bread. I would rather just buy fresh baked bread from a bakery or grocery store. 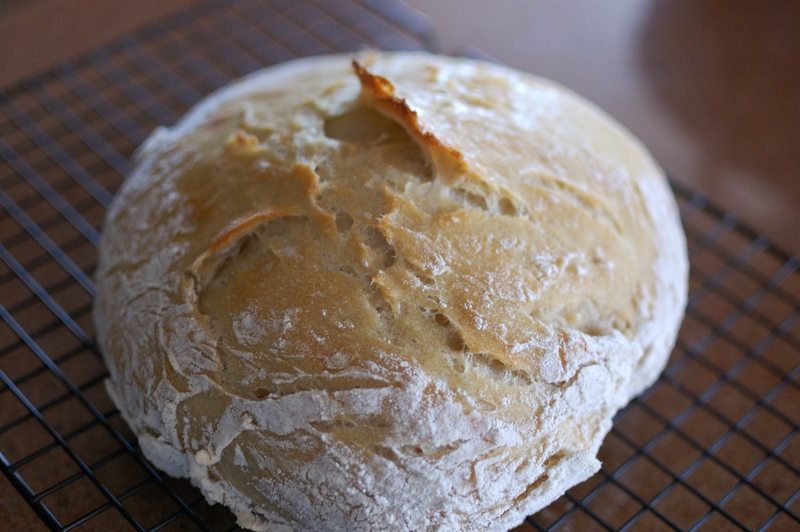 But every now and then I get the urge to have fresh bread come out of my oven. This was one of those times. The first time I made bread I was scared. Afraid that it wouldn’t turn out. But once it came out and tasted delicious my fears went away so fast and I became addicted to making bread. This recipe is soooo easy. 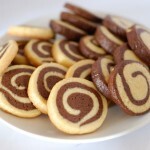 Don’t shy away from baking it up, you have to try it…trust me. please. Delicious Rating: This bread is so simple with just 4 ingredients.It is super soft on the inside with a wonderful crusty crust on the outside. 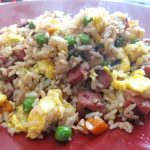 What I love about this easy recipe is that you can add a billion different ingredients to it to really give it some more pizzazz and flavors. Like, fresh herbs, cheeses, zests, nuts, seeds, even jalapenos! Mix and match to find what you love in the perfect homemade bread recipe. We loved it and ate it with pasta that night and then snacked on it the next day with soft butter. Yum! 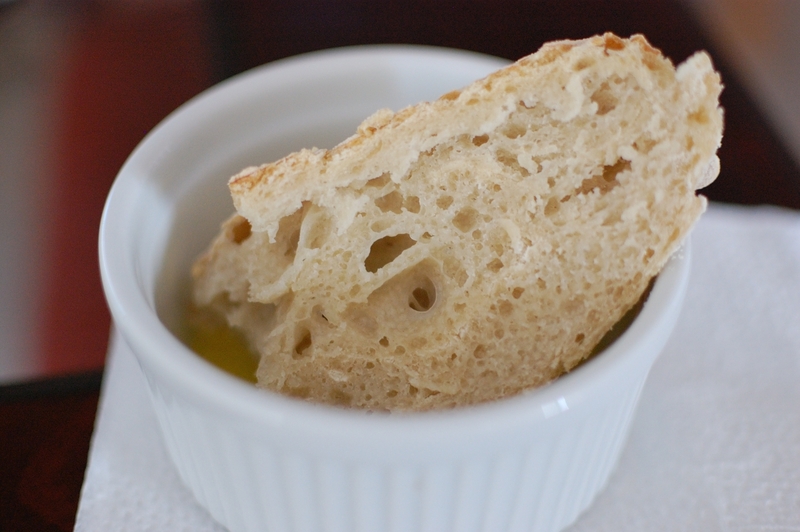 Serve with softened butter or a delicious tapenade. Whisk flour, salt, and yeast together in a large bowl. Add water and combine with a spatula. Cover with moist towel and set aside for 12 hours. Place a dutch oven with a lid inside heated oven for 30 minutes. 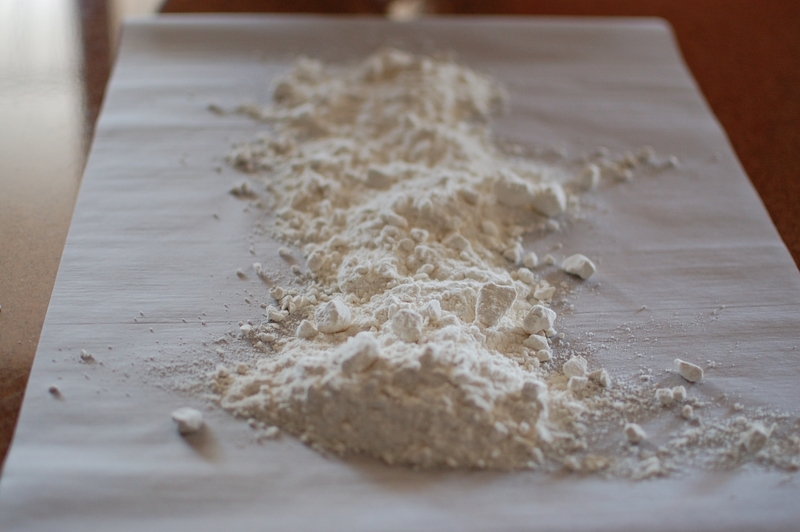 Shape dough into a ball on a floured surface. Cover with plastic wrap and let set until pot is hot. Remove hot pot from the oven and place dough ball inside. Cover pot and bake for 30 minutes. Remove lid and bake for an additional 15 minutes. 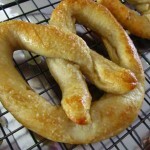 Place bread on a cooling rack and let cool for 10-15 minutes before cutting into. 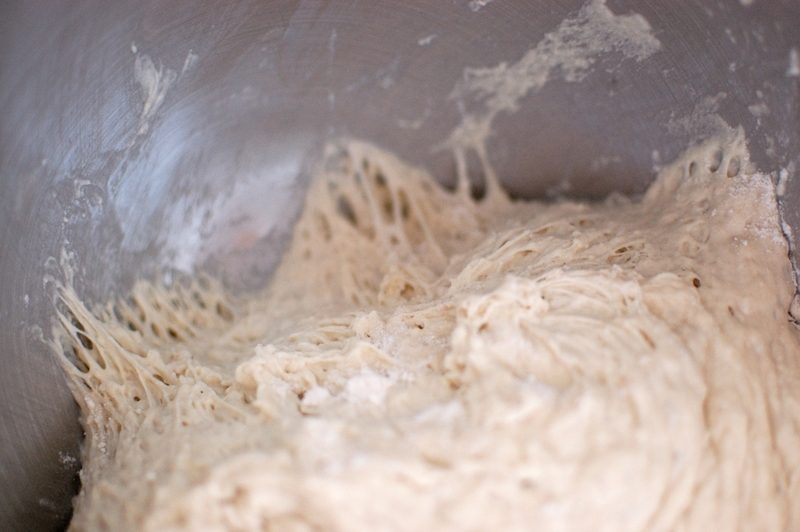 The dough will be more than just sticky. So when you are ready to make it into a ball do not be stingy with the flour. I didn’t mind that mine baked up with the flour on the outside but if you do just add flour as you need to get in round. Let the bread rest before tearing into it so that the heat inside won’t cause mushiness by being cut into too early. I see from your crusty bread recipe that the dough must be left for 12 hours before baking. Can it be left for 24 hours? I haven’t tried for that long Susan but did for about 16 and it was still great. A friend of mine leaves hers for 24 hours and she says it is better to her. Let me know how it turns out! I see you have tried adding different ingredients to the bread. I wonder if you have ever tried to make a sweet Hawaiian type bread adding pineapple juice for part of the water? I never have tried it before dj cus, but substituting half the water for pineapple juice would be delicious. Let me know how it works for you! 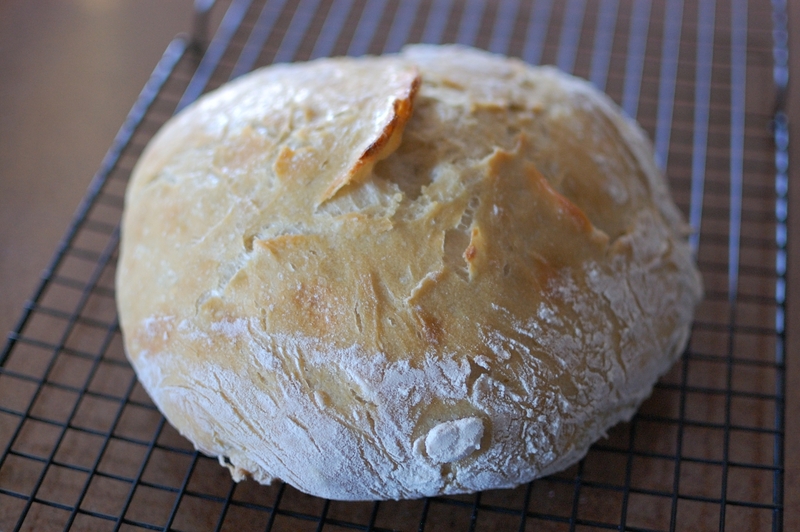 I don’t know why anyone would buy bread again after eating super easy to make bread. 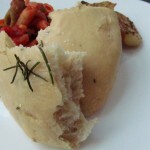 I agree Lon Varner, this homemade bread is delicious! I just made my first loaf in a ceramic pot. I followed the directions and my bread turned out “doughy”. The outside was golden brown and had too much flour on it. 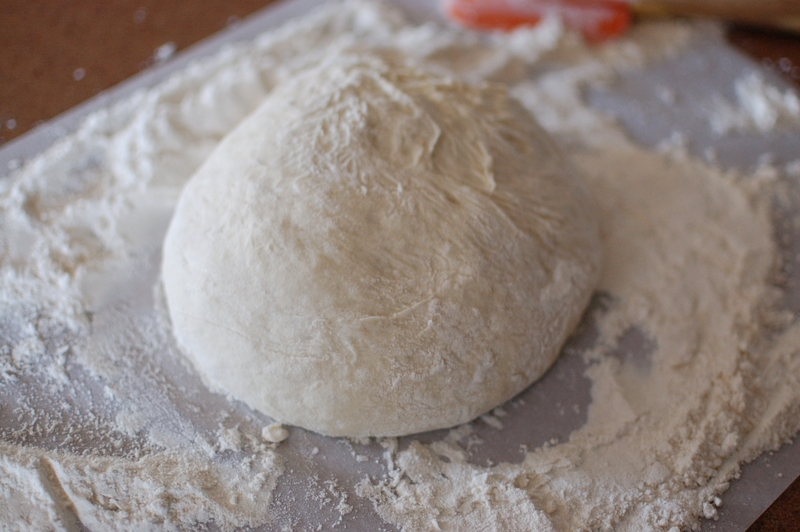 I rolled the dough into a ball and I think got too much flour on it! It taste delicious but doughy…. also, being over-anxious, I did cut into it before it was totally cooled. Do you think it didn’t bake long enough OR was temperature too hot OR did my cutting into it while cooling cause the “doughy” insides? Thank you! I’m so anxious to get it right. I sometimes get a little too much flour on the outside as well Joy! Cutting the bread without allowing it to rest can cause it to be somewhat mushy or doughy. Give it a good 15 minutes next time and let me know if this helped! Thanks for sharing the recipe and pics. I recently got a recipe like this from a friend and have made it a few times now. The first time I used 1 cup wheat flour for part of the flour and rolled it in 7 grain Oats before baking…..it was delicious!! 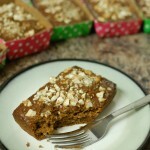 My recipe calls for 3 tsp Turbinado sugar (just wanted to share). I do have a question tho’ about this bread. My loaf sometimes has a sicky feel to it. It is very good…just curious about that. Any insight on that, or is it supposed to be that way? 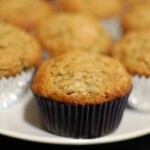 Is it sticky before or after baking? The dough is awfully sticky because of the gluten ratio, no doubt. I love the idea of rolling it in oats, I will definitely try that Steph, thanks! 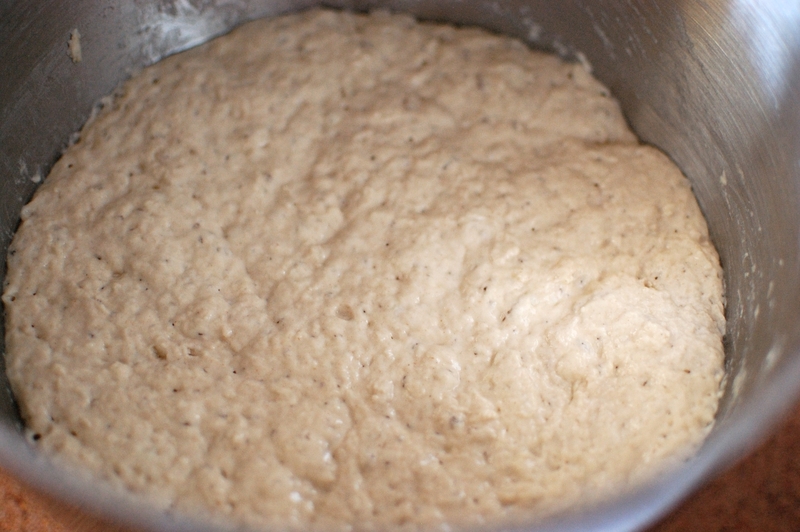 The dough is sticky after baking and cooling properly. Sorry to hear that Steph, it hasn’t been sticky for me after baking.